Jawaharlal Institute of Postgraduate Medical Education and Research (JIPMER) Admit Card 2017 has been released today ( 22nd May). 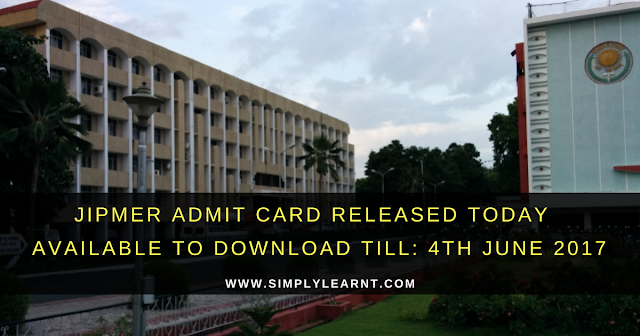 The admit card will be available to download till 4th June 2017 through online mode only. Students who have registered for the MBBS entrance exam can download their admit card from the official website of JIPMER at jipmer.edu.in. The examination is scheduled to be held on 4 June 2017. Note: Due to heavy traffic, the official website of JIPMER may not function properly. In such cases, try opening the website after few hours.